Melanie of “It happens in a blink” is the mom of a preschooler and triplet boys! She loves to craft and now the crafts have to be quick and easy. Once her little one discovered Dum-Dum suckers, there was no going back. 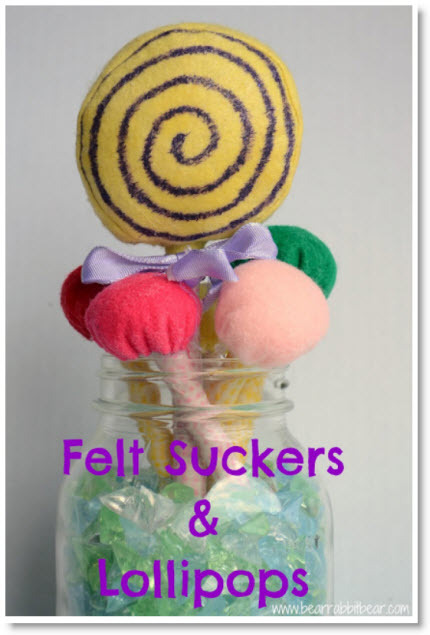 Melanie has this darling tutorial on “Felt Play Food: Dum-Dum Suckers & Lollipops DIY” and she has a complete DIY for us to follow. Bless you and your amazing family, what a job you have. Thanks for the cute tutorial!